Wild style, man. Peace, love, and happiness. 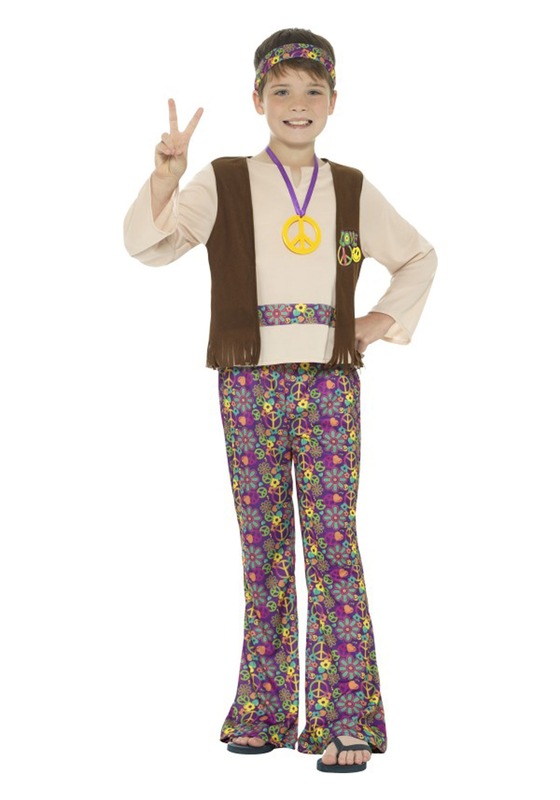 Those ideals might seem out of reach in this day and age, but with this boy's hippie costume, it will all be attainable for your child. Choose this costume to let him have a really unique throwback look this Halloween. When he's this far-out, we're sure he's going to feel like a really cool cat! 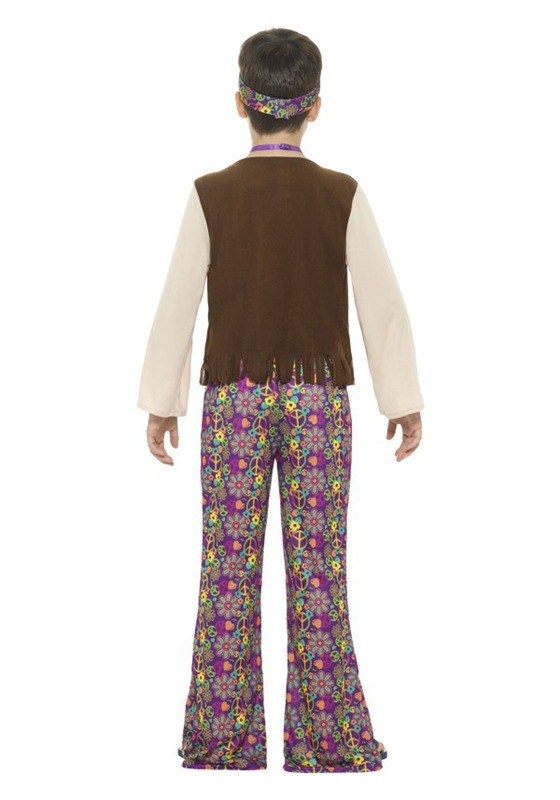 Yes, he can blast back to the hippie era of the 60s when he puts on these threads. What kind of adventures is he going to get into? He might good to Woodstock for a radical weekend. Or he might load up with his friends in a VW microbus and head to California. Well, he might actually be a little too young for all of that, but that's no reason not to give him the look with this costume! We're not sure what kind of adventures he'll get into with this funky look, but we're sure it will be safe and fun (at least compared to the wild hippie times of the 60s). Team him up with his best buds and let him make the trick-or-treat rounds, or pair him up with a sibling or friend in a hippie costume, and they'll have a funky duo look for any costume party! Yes, we're sure your kid is going to do great as a hippie. Because with a costume this fun and far-out, how could they not!